There has been quite some smartphone from Blackview this year especially in the middle price range segment of the market. Blackview A7 Pro is an upgrade to the Blackview A7 budget smartphone released earlier. It comes with an improved spec sheet while still maintaining the low price so that it can be available to the same set of customer its predecessor was. There is a more powerful process an increased RAM size as well as the addition of a fingerprint sensor. However, it still maintains less the same appearance as the previous device. Also, there has been an elimination of the plastic material used in its predecessor has the new Blackview A7 Pro is entirely made of metal which does well in improving the premium feel and as well as lend it that high-end look. There is an immediate change in the feel of the Blackview A7 Pro marked by a slight change in the price range of the A7 pro. There is a chrome optic edges and a shade back design that gives it a better look and does well in masking fingerprint smudges. It still sports the dual camera module at the back with the LED flash. The curved edges make the device easier to handle as well as the compactness of the design. There are still off-screen capacitive touch buttons and are illuminated. It still retains the volume rocker and power button on the right side of the device and gives a nice tactile reply. Above the screen, there is the earpiece, proximity sensor and an ambient light sensor and a LED light notification. At the back, you have a dual camera sensor set up as in the A7 device below which there is now a fingerprint scanner. At the top of the Blackview A7 Pro, you have the standard 3.5mm audio jack for plugging in your headphone while the bottom of the device is home to the micro USB port. The dimension is pretty much the same at 71 x 143 x 9.5mm and weighs about 176g. The position of the speaker has been improved with a number of a colour variant that includes black, blue, white and champagne gold. Just like its predecessor the Blackview A7 Pro sports a 5-inches 1280 x 720-pixel resolution IPS display, however, it has more improved quality and a 294 pixel per inch (ppi) LCD capacitive touchscreen. Also, there is a more quality colour reproduction and a vibrant display coupled with a better outdoor viewing due to increased brightness. Double of everything that is what the new Blackview A7 pro offers with a 2GB RAM and 16GB ROM compared to the 1GB RAM and 8GB ROM the A7 provides. It is powered by a MediaTek MT6737 4 core processor that clocks at 1.3GHz along with a Mali T720 MP2 GPU. It runs on Android 7.0 out of the box alongside some Blackview’s customisation. At the rear camera there is an 8MP plus a 0.3MP dual camera combo, and in front, you have a 5MP selfie camera. The battery capacity is kept on a low with a 2800mAh removable battery. 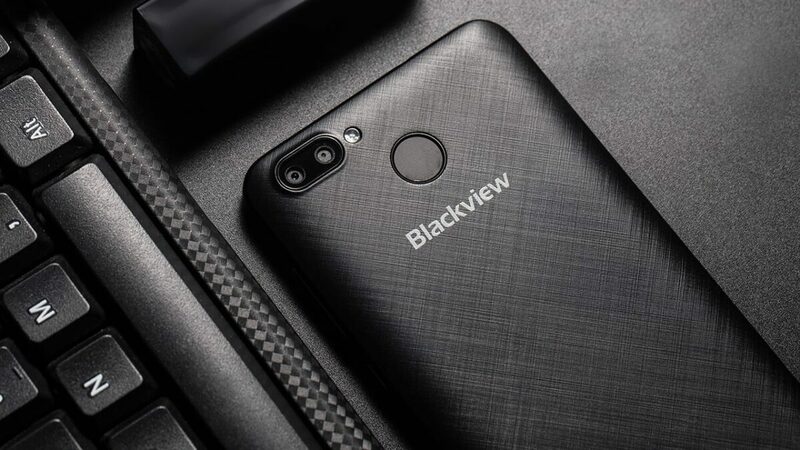 What is The Current Blackview A7 Pro Price and Availability Status? You can click on the links below to view latest Blackview A7 Pro price & availability.